Don’t you wish for a quick and easy way to keep in touch with the activities and events at Blessed Savior? Besides attending weekend Masses and connecting with your fellow parishioners …. there is one more way to keep connected when you’re mobile! 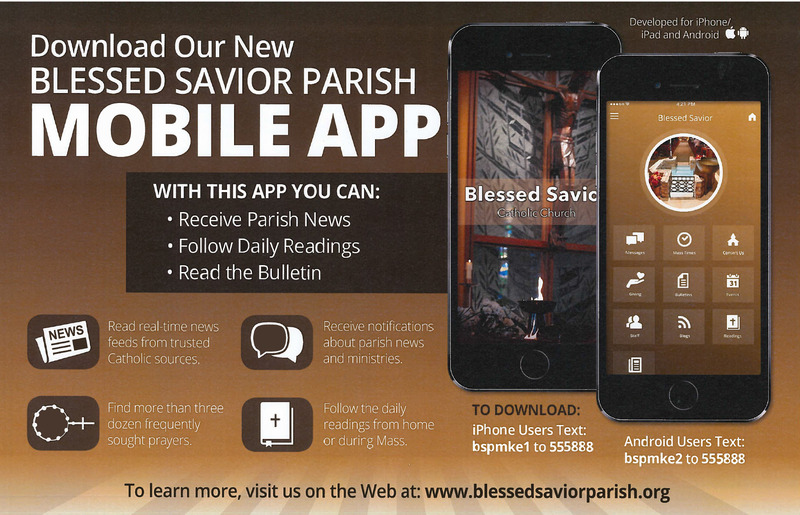 The Blessed Savior mobile app! That’s right, in a few quick steps you can download the BSP app to your phone or tablet and keep up-to-date with Mass times, events, daily readings, and much more. Remember to sign up to receive automatic notifications on news and events from the app in the settings/notifications section!